Dugard, who you may recognize from his collaborations with Bill O’Reilly on Killing Lincoln et al, uses this new book to tell the account of one of history’s greatest adventures, the search for the source of the Nile, and a study of the seven character traits all great explorers share. 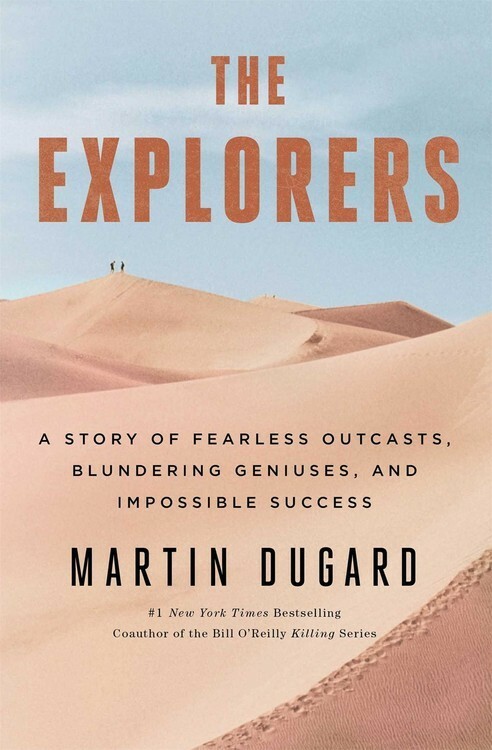 Dugard’s Premise: He claims that all explorers share seven traits: Curiosity, Hope, Passion, Courage, Independence, Self-Discipline, and Perseverance. Additionally he posits that in our own way we are all explorers and that these seven traits can help us fight through challenges, overcome setbacks and succeed in our lives and careers. He attempts to prove this theory using the story of John Speke and Richard Burton’s search for the source of the Nile River as a jumping off point. In the process of telling his tale he further illustrates his point with examples from many other adventurers as well. I did a detailed review of this here.